After two weeks off from blogging (inadvertently) & a relaxing and unplugged week at home, I'm feeling so fired up for 2016! My parent's cable & internet went out while we were home in Florida for the holidays and what started off as a frustration ended up being a total blessing in disguise. It made more time for catching up with family over coffee, conversation and breaking out my dad's beloved movie collection. It gave me some time to reflect on my word for 2015: presence. Although I still have much room for improvement I think I made some big strides this year. I grew to love the mantra "progress not perfection". For me that meant less blogging during the week and more enjoying simple moments with Kyle, waiting until after dinner to Instagram our delicious meal (seriously, it can wait- enjoy the people you're with! ), and learning that it's okay to only say "yes" to the things that make your heat sing! Although I have a new word for 2016, presence is one that I hope to continue to make an important part of my life. 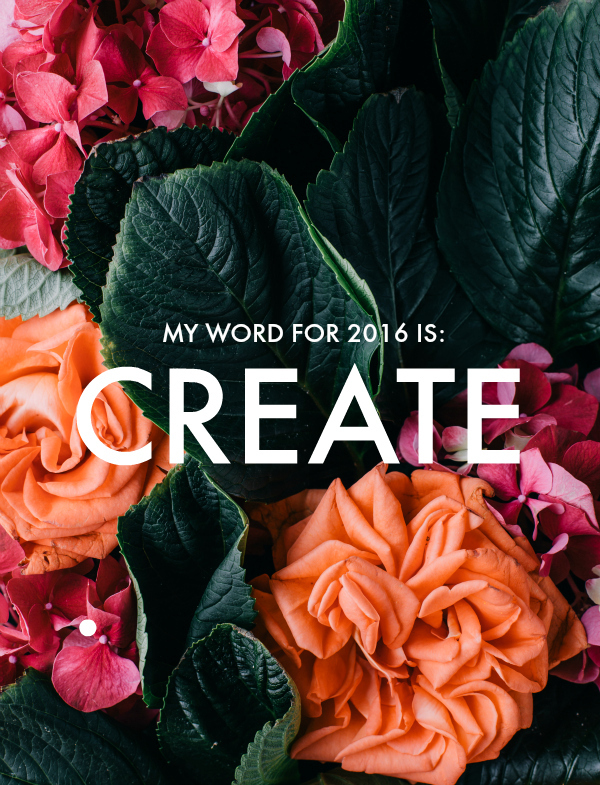 For 2016, I've decided my word of focus will be: create. I chose "create" as this year's word because it's something I hope to do more of in the coming year. I think creativity is something I often push aside when life gets busy. Too many emails not enough time to break out our adult coloring books and chill- am I right? But on the contrary, when I'm able to turn off my brain from work stuff and make something, it has a positive impact on every aspecft of my life. 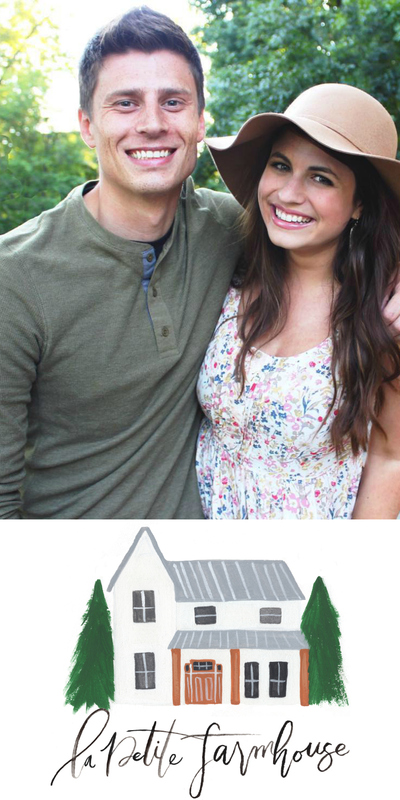 Kyle & I will be DIY-ing as much as possible for our wedding and I'm looking forward to being able to look around on our big day and remember all the love that went into each project. I think creating even goes beyond the typical sense. This year I'll be working on a website and brand revamp, fun new workshops, and continuing to declutter and simplify our home. I listened to an inspiring webinar from Emily Ley & Lara Casey and found it very uplifting to hear that there are so many people that struggle to find time to do it all. 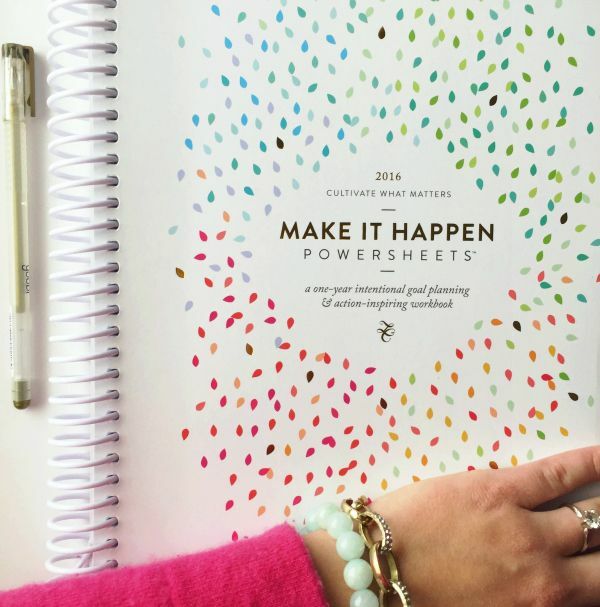 I'll be working through Lara's Power Sheet Workbook this year and can't wait to keep the reflection going all year long. I like thinking about goal-setting in this sense rather than just making it to the gym more often. The "one word" goal really worked for me in 2015. Have you thought of what yours may be in the new year? P.S. 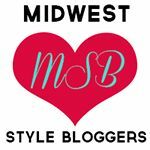 If you're looking for a fun way to kick off blog or business planning for 2016, I'm going to be speaking on a panel at Madison's Dream Bank (on 1/26) about the biggest new internet marketing trends. They will also be livestreaming the event, so you can join in no matter where you live. Register for the free event here! I love the idea of having a word to focus on throughout the year. Create is a great one and I completely agree. It is something I definitely need to focus more often on. I already know that 2016 is going to be a wonderful and eventful year. I am so ready! What a wonderful New Year's resolution! The inspiration to resolve to be inspired is a wonderful start. I'd better get to thinking about what resolution(s) and inspirations I should make and adopt for year 2016. Perhaps I should pick "decide" since I tend to procrastinate when it comes to making decisions. Have a fashiontastic, happy and creative year 2016!